Escondido Recreation offers limited arc slow-pitch softball leagues three seasons per year (Spring, Summer, and Winter) in the following divisions: Men's Wednesday, Men's Friday, Men's Over 35, Women's Open, and Co-Ed. The Winter season is a shortened, 8 game season. All games are played in Kit Carson Park at the Adult Softball Complex, which consists of four lighted fields. Umpire & Scorekeeper fees are an additional $22 per game. Cash only. To be placed on an interest list, send an e-mail to Escondido Recreation. Please specify which league you are interested in. Adult Sports Hotline - It is the team's responsibility to find out if games have been postponed because of rain or wet fields or if the schedule has been updated. Call the sports line after 3:00 p.m. at 760-839-4549. The recording will give field status and rescheduling dates. All managers will be emailed about any rainouts or schedule updates. Park Rules - Alcoholic beverages are prohibited in city parks. Please provide supervision for your children at all times. For the safety of all visitors, there are no bicycles, scooters, roller blades/skates, skate boards, or dogs allowed in the complex. Thank you. Add Cards - Rosters may not exceed 18 players. Players may only add up to the first half of the season. A fee of $2 per add card must be paid for all players added to the roster after it has been turned in. Add cards are accepted at the softball complex. 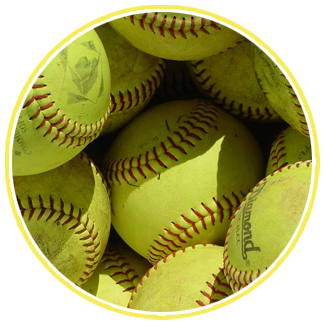 Banned Bats - For the most updated information, refer to Amateur Softball Association (ASA) or visit the softball office a the Adult Softball Complex at Kit Carson park during league play.